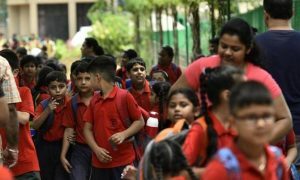 In a bid to bring more transparency, the allotment of schools to students from the economically weaker section (EWS) under Rule 134A of the Haryana School Education Rules would be done online. The decision restricts the role of the Education Department at the district and block levels in the allotment process. The new option enables parents to submit forms both in person and online, according to the directions of the directorate. In case anyone comes across problem, forms can be submitted at the block education officer’s (BEO) office. It will then be uploaded online by the office. Parents, however, claim that forms are not being accepted in person at BEO offices.